Oh my goodness, Lexie and Baxter are engaged!! I love getting to know my clients over the phone rather than email. I love hearing all the lovely details - whether it is what they are looking for in their portraits or when they share what they love about their family, spouse, partner, etc. So, when Baxter and I had our phone consultation about the proposal plan he had been planning for his bride to be, I knew that it was going to be unforgettable! Baxter and Lexie met at Texas A&M University in College Station, TX during their junior years. Lexie had moved in the house next door that Baxter was living in and they met each other for the first time when Baxter had invited Lexie and Lexie's housemates over for some burgers. The next day, Lexie needed someone to practice giving a fake physical exam for nursing school and she asked Baxter - from there the fake physical exam led them to getting to know one another, becoming friends and eventually a relationship. It was papers and tests that brought them together - silly I know but it's so cute! They're definitely each other's college sweethearts. They've been together for a year and 3 months and with no doubt, Baxter knew that Lexie is the one he wants to share his life with forever. Now for the proposal plan? Uhm, seriously the sweetest proposal plan ever! 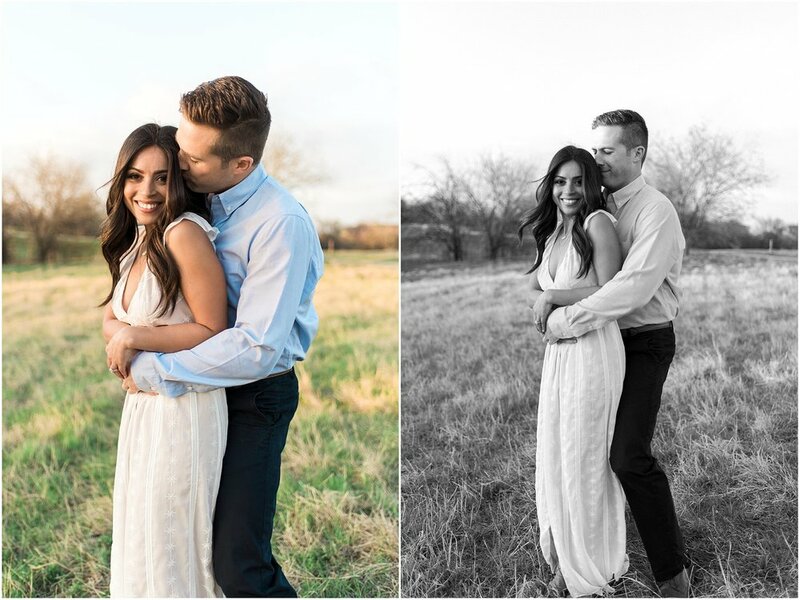 He shared with me all the little details of where he was taking her starting from Waco to Pilot Point where the final destination of his proposal taking place will be in, Texas Tulips. Like oh my goodness! Couples picking tulips together?! 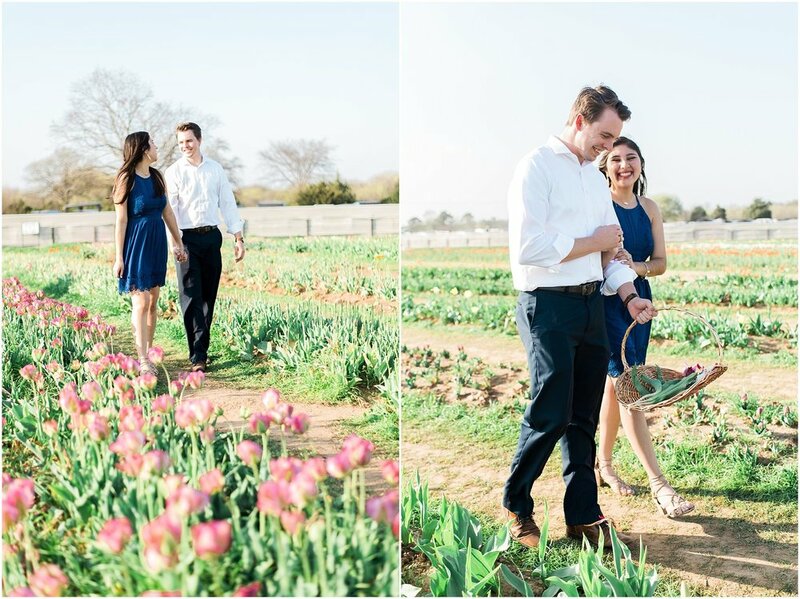 A proposal at the tulip farm?! That is so freaking adorable! I can't even get my fiance to go flower picking with me, EVER. (haha) Our plan was to have me stop them in their tracks (where I would be waiting for them) and ask them to model for me as I meddle with my camera to test out some lighting situations. During the day of the proposal, everything was going accordingly to plan! They were actually ahead of their date schedule and it was the luck of traffic that made them delay in arriving at the tulip farm too early - we were trying to hit close to sunset time for that golden hour look but the sun was still very high that day, peeking in and out of the clouds. I was still able to capture beautiful images of them two though. Just like what we talked about on the phone, I stopped them, "Excuse me? Would you guys be so kind to help pose for me real quick while I test out some lighting settings in my camera?" In my head I was thinking, she has no idea what's about to happen! Lexie looked at Baxter and of course said, "Sure!" I had Baxter hugged Lexie from behind and counted "1, 2, 3! ", from there on that's when Baxter got down on one knee and proposed to the love of his life. MISSION ACCOMPLISHED! She said yes! It was so beautiful and emotional. I seriously almost cried along with Lexie when Baxter asked her. They are absolutely a very sweet, kind-hearted and genuine couple. You can just tell that they are the best kind of friends who are madly in love with one another. Spring is here and the weather is getting warmer and warmer each day! That means that engagement and wedding season is upon us! I couldn't be more excited to be blogging about my beautiful couples that are/will be starting the next chapter of their lives together. 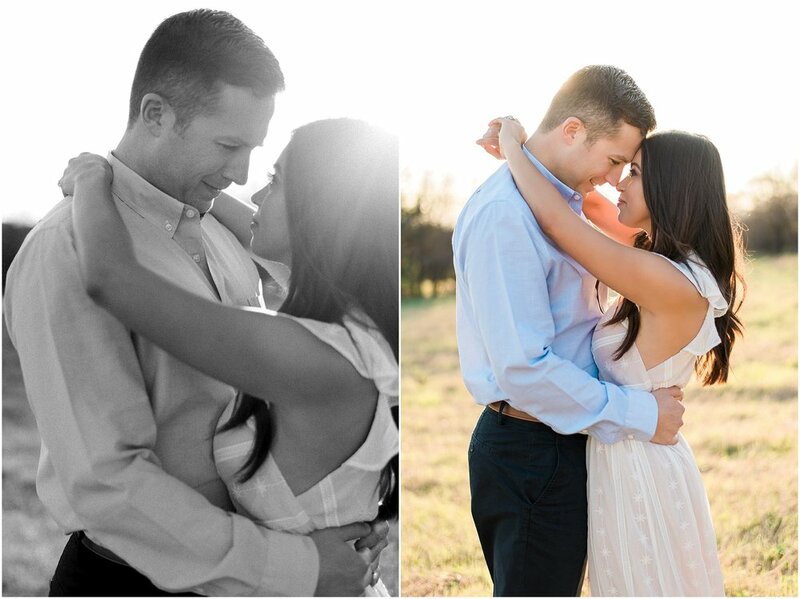 Rosie & Tim's engagement session at the Arbor Hills Nature Preserve in Plano, Texas is one I won't forget soon. I've been looking forward to this blog post and I'm overly excited to finally share about this lovely couple with you all! When I first talked with Rosie on the phone about their engagement session inquiry, I can just tell right away that she is a lovely gal - which she totally is!! Rosie and Tim have been together for a year and a half and they met each other through a mutual friend who had hooked them up (haha) They hit it off right away and who knew that in such a short amount of time being together, Tim knew that Rosie is the one he is going to spend the rest of his life with. Prior to our phone consultation, Rosie had told me that she moved to be with Tim in Dallas from Houston, after Tim had accepted a job in the finance industry. I instantly felt relation with her because I had moved to be with Kevin (my fiance) to Dallas from Alaska! So I knew what it felt like to leave your friends and family behind to be with the one you love, not knowing what the journey ahead was going to be like. Okay, I'm getting off track here - haha, but you can just tell that they enjoy and love one another very much. I love the fact that Rosie and Tim are very outdoorsy! They love to travel together, go camping, hiking, anything you can think of that's outdoor spontaneous - that would be them. Not only were they a very out-going and adventurous couple but they love being around their family as well. Rosie and Tim will be getting married in California where Tim had proposed to Rosie. When they both shared their side of the stories of how Tim proposed, I could just imagine how beautiful it was! Tim took Rosie to Sonoma, CA during Thanksgiving of 2016. While they were there, they went to a county winery (because come on, who doesn't love wine?! ), where they were able to taste test different kinds of wine. From there on, you can only imagine how beautiful it must have been when Tim proposed. So as you know, Dallas can be very outdoorsy and since Rosie and Tim have a golden doodle puppy together, they wanted to incorporate him in their engagement session as well (he was the cutest big pup!). Immediately, I thought of Arbor Hills and it was the perfect location! We had so much walking around the trails, trying out some poses, making each other laugh and smile. I definitely got to know Rosie and Tim a lot more and felt that at the end of the day, they were more than my clients, they are a part of my photography family. First of all, Rosie, I know for a fact that you are going to be a gorgeous bride! If Tim doesn't cry when he sees you walking down the aisle, you better keep walking down the aisle until he sheds a tear! haha... Tim, you are one lucky guy to be spending the rest of your life with this beautiful and down to earth girl. I can't wait to see all your gorgeous wedding photos on Facebook!